One of the ingredients I use most in my baking is sugar, so I was delighted to be sent a box of various cane sugars from Tate & Lyle. 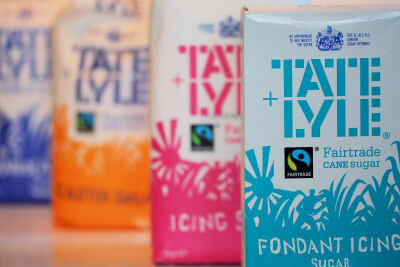 Tate & Lyle is proud to be the first sugar company in the UK committed to making all their retail sugar bags Fair Trade certified. 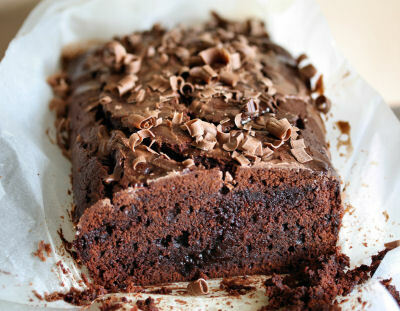 They have an informative website, 'Taste & Smile', which also includes a recipe section. 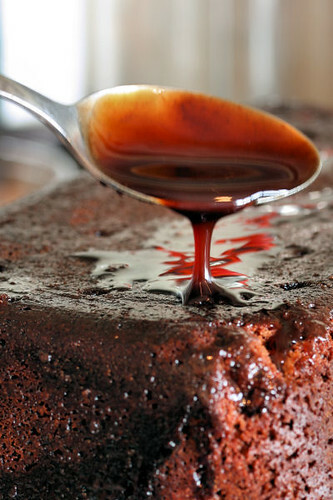 Facebook pages for products, companies and blogs are popping up daily, and there is an active Tate & Lyle Facebook page called "We Love Baking", where you can discuss baking, show off your own recipes and post photos - I spotted some wonderful looking cakes! I was fascinated to learn that the Tate Gallery was named after Henry Tate, who in 1889 donated his collection of 65 contemporary paintings to the Government, on the condition that a gallery dedicated to British art was built. 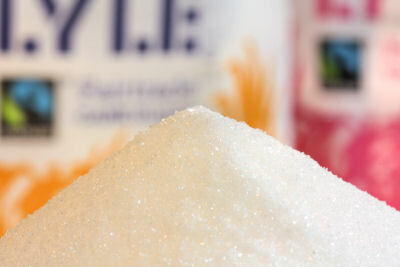 The Tate & Lyle sugar refinery is still in the original location, on the banks of the Thames in East London. The sugar that is transported by ships can be unloaded directly into the refinery, thus reducing the carbon emissions associated with long road journeys. 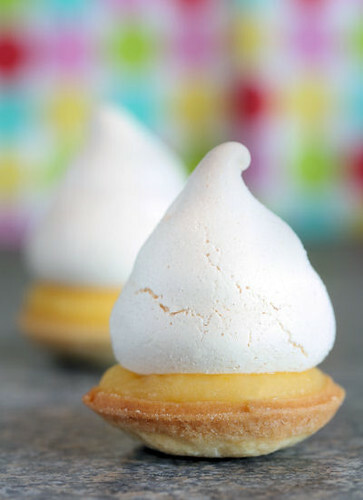 Using Tate & Lyle sugars, I made some little lemon meringue tarts, perfect for an afternoon tea party. If you read this blog regularly you will know that I love making pastry, and my favourite sweet pastry recipe is Dori Greenspan's - a tender, crisp pastry that, when baked, is actually good enough to eat naked! 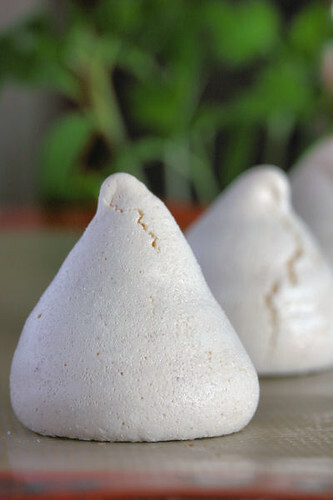 Pastry cases can be stored in an airtight container for a number of days until needed, as can the meringues. Lemon curd can be stored in the fridge for several weeks. All that is needed is a quick assembly of the tarts before serving. 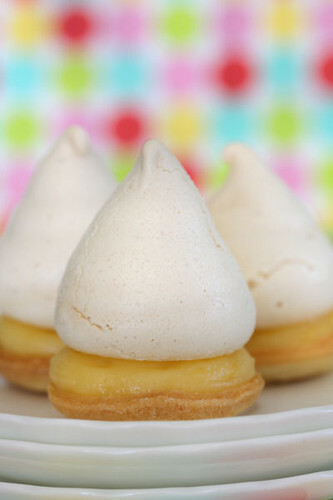 The amount of pastry depends upon your tartlet size, as does the meringue and lemon curd. Turn out onto a lightly floured work surface, roll it out fairly thinly and cut out rounds to fit your tartlet tin. Prick the pastry bottoms with a fork and put the tartlet trays into the freezer for at least 30 minutes before baking. Preheat the oven to 375ºF and bake for about 15-20 minutes until nicely browned. Line a couple of baking sheets with parchment or non-stick baking paper. Whisk the egg whites until stiff, add the sugar, 1 tablespoon at a time, whisking well for about 1 minute after each addition. 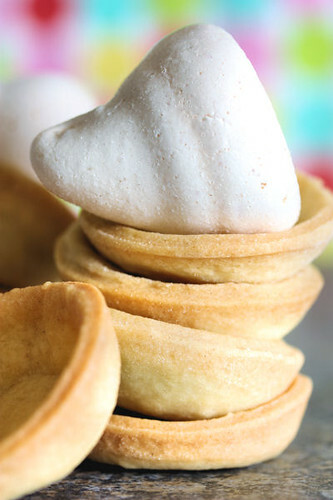 Pipe or spoon the meringue mixture into little conical shapes onto the non-stick paper. Bake in the oven at 110ºC (225º F) for about 1 hour (they may need more), changing the position of the trays half way through the cooking - don’t let them brown. British asparagus season is here! From 24th April to about the 21st of June, you can enjoy the best asparagus in the world, and I came across one of the best recipes for it in the universe! I found it in The Times Magazine from chef Jeremy Lee, baked asparagus with Parmesan. 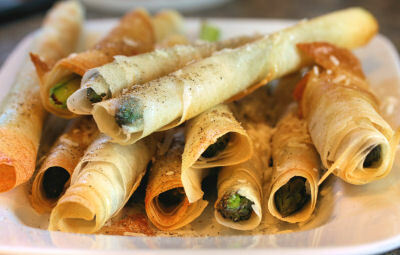 The asparagus is wrapped in feuilles de brick, a Tunisian pastry similar to filo which you can find in packs of ten sheets at Waitrose. The original recipe says to boil the asparagus spears furiously until tender, but I think it's better to just blanch the asparagus for up to half a minute (depending on the thickness) as it's then going to be baked for 7-8 minutes and I prefer it to remain crisp. Peel the stalks if the asparagus is tough skinned. 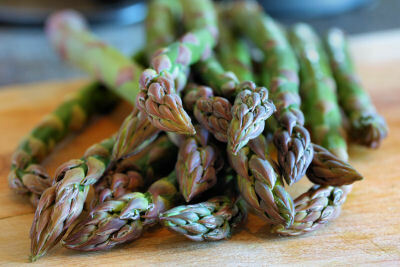 Bring a large pot of water to the boil and blanch the asparagus for up to half a minute or so. Remove from the boiling water and lay on a plate to cool. 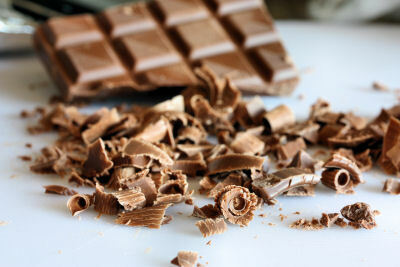 Open the pastry sheets and remove one at a time from the packet. Cut in half and brush lightly with butter. Sprinkle on the Parmesan, a few chilli flakes if using and season with salt and pepper. Lay a spear of asparagus along the edge of the pastry and roll it as tightly as possible. 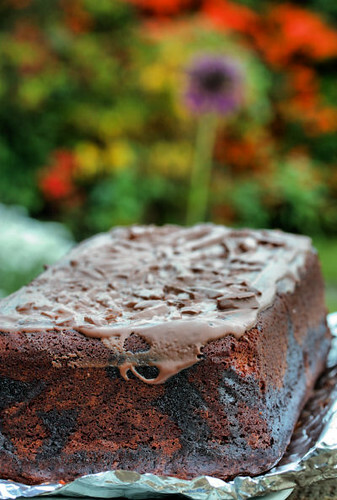 Place on a baking tray, you may need a couple of trays. Repeat with the remaining asparagus and place the trays in the fridge while you warm up the oven. 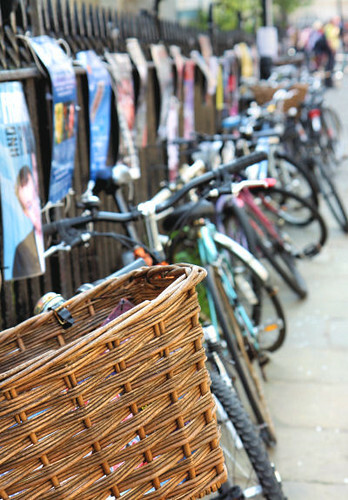 These can be done in advance, just cover with clingfilm and leave in the fridge until you need them. Preheat the oven to 200C/Gas 5. Place the trays into the hot oven and bake for about 7-8 minutes until golden brown. 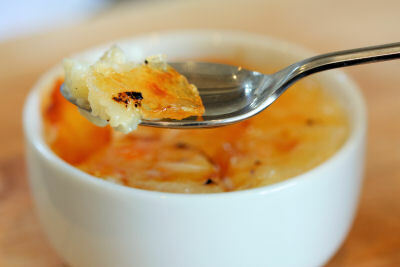 Pile the spears on a plate and grate fresh Parmesan all over and serve straight away. Something amusing happened the other week, I had a phone call from a guy trying to locate our house so he could deliver something (I hadn't ordered anything!) When he turned up a bit later, we discovered that he had dialed the wrong number and the parcel wasn't for me after all. Not half an hour later, there was a knock at the door and another delivery man was there with a rather large box in his hands! It was for ME! I hadn't ordered this either, but when I opened it I had to laugh as I saw the contents. 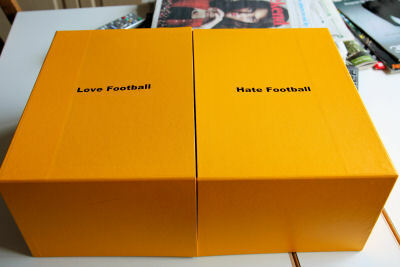 It was a box, divided into two parts, with 'Love Football' on one side and 'Hate Football' on the other side. 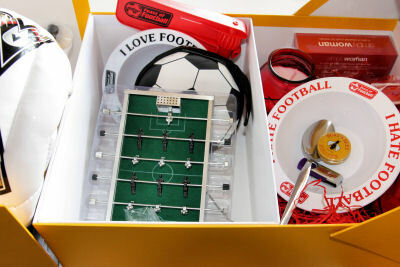 On the 'Love Football' side there were all footie related items, while on the 'Hate Football' side there were loads of girly things, perfect for a pampering session, along with a promotional box of Kellogg's Crunchy Nut Bites. I don't need to remind anyone that the World Cup is looming and the Kellogg's promotion can be found at their feast of football website - look for the promotional packs, collect codes and claim rewards. 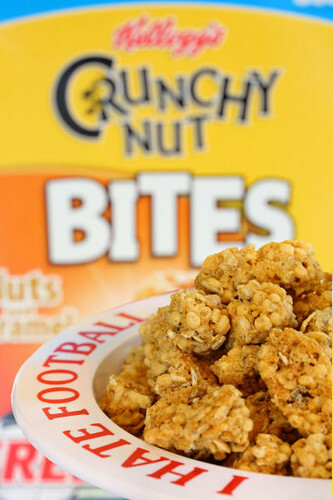 The promotion runs until July 2010 and will feature on packs of Kellogg's Crunchy Nut, Crunchy Nut Bites, Crunchy Nut Clusters, Crunchy Nut Nutty, Kellogg's Corn Flakes and Frosties. Not a cereal I would usually buy, but I was pleasantly surprised and instead of having them with milk, I put a couple of handfuls into a bag and ate them as a snack when I went out. Do you love football or hate it?? ?